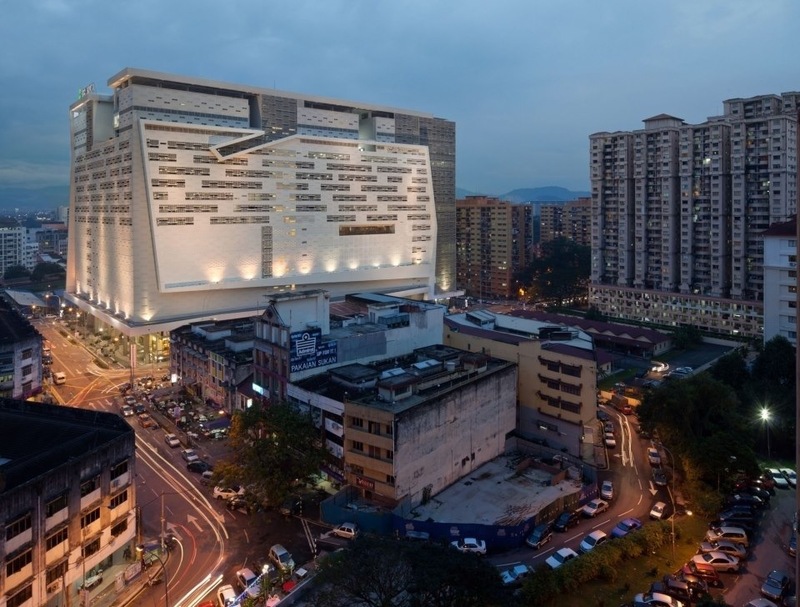 Another shopping complex in KL… Yeay. Kenanga Wholesale City is the place when you want to go shopping in a wholesale price, but you want it in more convenient place. Yes, I would recommend you to buy some stuff from here, well maybe the stuff here is not really different from the one in Bukit Bintang or Sungei Wang Plaza, but at least for me, it’s more convenient shopping in here than in the other “wholesale place”. This wholesale building is kinda like a mall from the outside, the architecture is modern, but maybe the kiosk placing is quite make you confused, since they don’t categorized the kiosk based on what they sell, and some kiosk might sell some random stuff, and cannot be categorized as well. For your tips, there might be some boutique sell a really good stuff, and in a wholesale price. If you are good at shopping, you will now which thing you should buy, and which you shouldn’t. I got one pair of shoes, handmade and made from real suede leather for just RM69, such a good bargain. Eventough the brand is like the local brand from Malaysia, but I really satisified for this shoes. Well, I will reveal the Shoes Selling shop in Kenanga, since most of you guys are looking for the shoes information in my blog. My favourite spot for buying a shoe is Lanbaharin, their shoes are real suede leather and also it’s hand-made. Now I have two shoes from them and it’s still looks nice until now. But what I can say is, some of the model aren’t that nice, but if you get a nice one, then it should be nice, actually it depends on your taste. But I don’t know why, their stock is not that much, I think they only have less than 50 pairs of shoes in this shop, that’s quite making me uncomfortable with that. But later I’ll ask the owner maybe I can make my own design and ask him to do it for me. Well, another shop that I always go when I’m in kenanga is AC Phone Shoppe, they are selling a lot of accessories for the phone, and selling it in a really cheap price, even the price are cheaper than Lowyat. I bought a screen guard for my iphone for only RM8! that one is for both sides, if you wan’t to buy only one side screen guard, it costs only RM5. And then they also sell a lot of phone cover, the price varies from RM10 till RM60, I bought mine for only RM15 and the quality is good, it fits perfectly on my iphone. 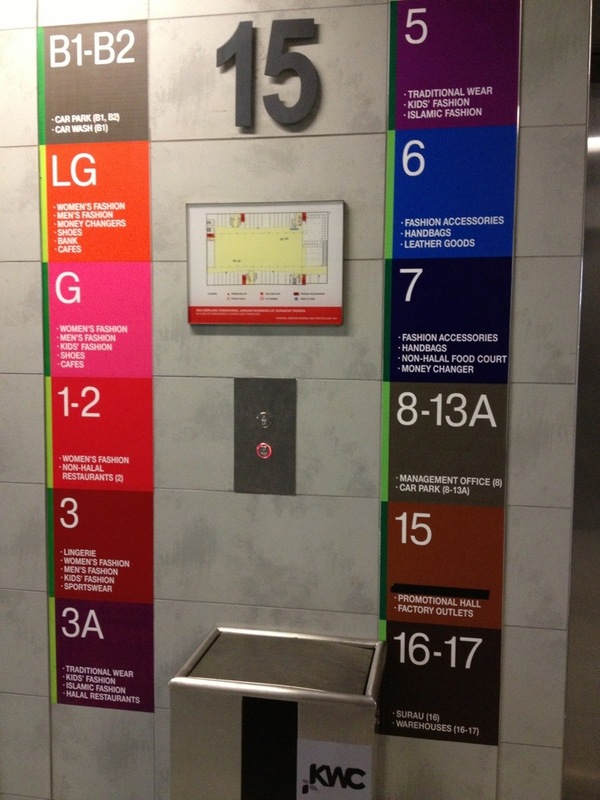 This shop is located on 6th floor, just below the foodcourt. Another one, if you wanna have some soft toys to hang in your car, there’s a stall just in front of AC Shopper that sells toys for only RM2. You know that kind of “Angry bird” toys, they are selling it for RM2, and I bought 1 for my “blacky”. 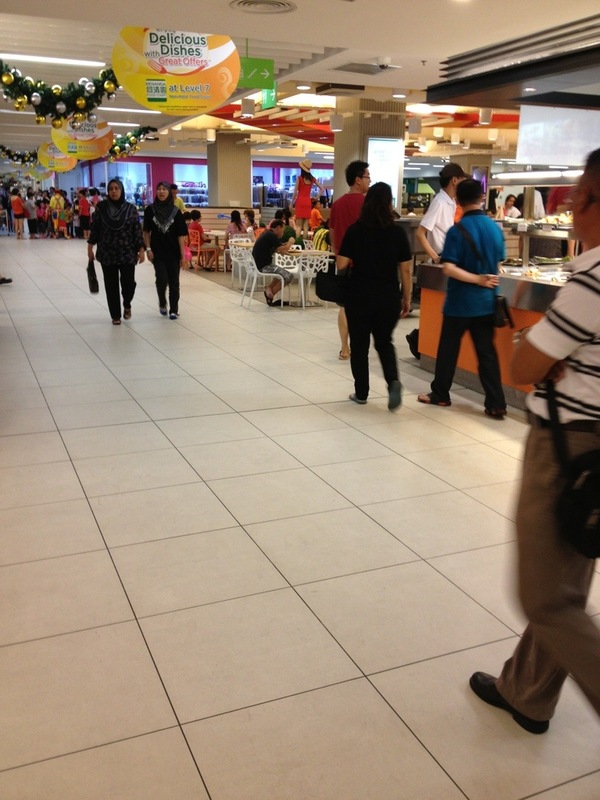 In level 7, there’s a foodcourt here, but unfortunately, this is a non-halal food court, whereas the halal-food court is in another floor and still “coming soon”. 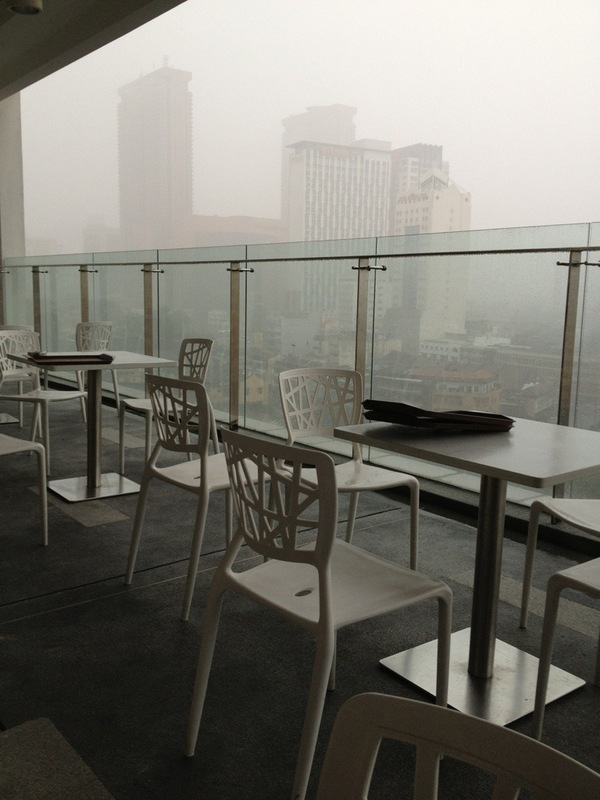 The food court is nice, and there’s a table outside so we can see the skyline of KL City. And the other reason why I had a good time shopping here is, the parking fee is Free of Charge! I still can’t believe they don’t charge anything for the parking space, and yes, it’s in the Golden Triangle of KL, where in another place you’ll spent around RM5 for your parking fee. (UPDATED): Unfortunately, now you should pay for the parking fee, but the parking fee wasn’t that expensive. Usually I ended up paying around RM2 for a visit less than 3 hours. 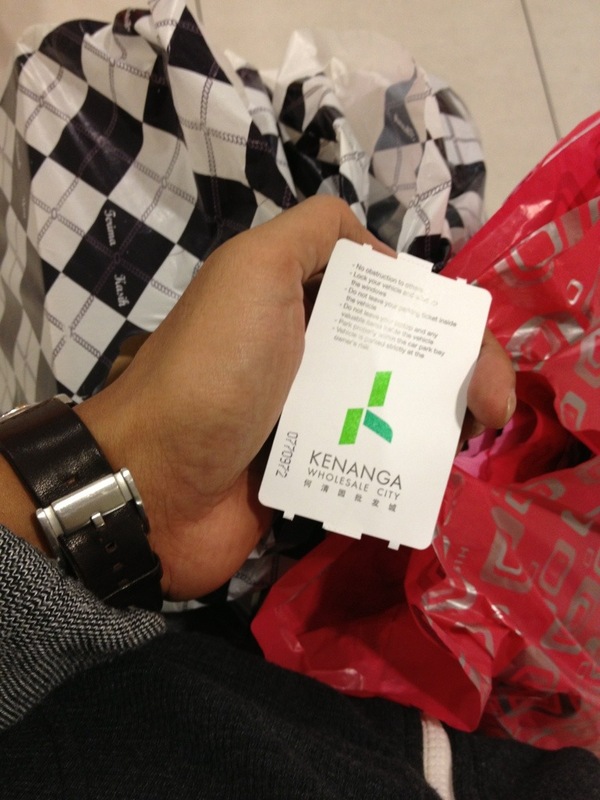 11 Responses to "Kenanga Wholesale City"
Oh ya, about the price, it’s around the same price with bukit bintang, but sometimes you can get a lower price as well, it makes sense, since the rental in Sungei wang mall is more expensive than Kenanga. And in Kenanga most of it is “wholesale” price, but the shopping environment is kinda like a mall. Well overall, you should give a shot, and go to Kenanga and see how do you like it. I am going to KL next month, do you think is far if i walk from my hotel (Sky Hotel Bukit Bintang) to kenanga city. For me, it’s not that far, indeed if you’re planning to use Monorail it’ll be such a waste since it’s only 1 station. You can just walk from your hotel towards hang tuah. It’s about 500m from ur hotel I guess. hi, do they offer retail sale? is the retail sale almost same or cheaper than Sungei Wang? Yes they’re also selling in a retail price, I also know one of the boutique’s owner near my place also shop from there and resell it in their boutique. The price is slightly lower than Sungei Wang & BB Plaza, maybe because the rental is also cheaper in KWC. Hi, Im going to KWC on 19th..I come from Ipoh..after KL sentral. I think i will take monorail to hang tuah..After Jalan Hang tuah, izit vry difficult to find the shooping mall ? From KL Sentral you can take monorail and alight at Hang Tuah Monorail station. From the station there’ll be around 15mins walk. You can ask the direction from the people there. hai..juz wanna ask which nearer to kenanga plaza? Where is this other “wholesale place”?